Let’s face it: when it comes to retail, the greatest single factor between a positive experience and a negative one is the frontline staff. Customer service representatives are the heart and soul of any retail outfit, and along with being friendly, outgoing, and eager to assist, they need to be knowledgeable about the merchandise in order to provide the best possible experience. Cannabis retail is no different. That means that if you want the best for your dispensary’s customers, you need to ensure that your budtenders have the resources needed to deliver that outstanding level of service. In today’s post, we’re going to look at exactly how you can equip your budtenders with the knowledge and tools to turn them into cannabis sommeliers — and keep your customers coming back for more. The first step in training your budtenders to be sommeliers is to hire the right people in the first place. Asking thoughtful budtender interview questions can help you suss out candidates with the traits and foundational cannabis knowledge that you can build upon. Of course, even if they have a strong understanding of cannabis from a consumer perspective, most entry-level budtenders will need training in other aspects of the industry. From the cultivation process, various extraction techniques, and myriad consumption methods to the ever-evolving product landscape, dispensary customers have lots of questions — and your cannabis sommeliers should be able to provide them with answers. In addition to their initial onboarding, look for ways to provide your budtenders training opportunities on an ongoing basis. The cannabis industry is still nascent, and new products and developments come about frequently; a cannabis sommelier should be on top of all the latest, cutting-edge breakthroughs and trends. While training your budtenders to competency in core skills is essential, training alone won’t take them to sommelier level. The truth is there are just too many new and emerging genetic varieties, cultivation methods, extraction processes, and product types for any one person to memorize. This is where cannabis retail technology comes into play. With the right dispensary POS system in place, your budtenders will be armed with a wealth of information and product details at their fingertips. They won’t have to worry about making a customer wait while they verify whether a product is in stock or track down the terpene profile of a particular strain. Rather, your budtenders will be able to answer your customers’ questions and quickly access the information they need to provide sommelier-level service from anywhere on the sales floor. One great example of a cannabis retailer using dispensary technology to empower its staff is ECO Cannabis. This Oakland-based outfit is known for providing a stellar customer experience, and Cova’s specially designed dispensary POS software helps budtenders at ECO deliver sommelier-level insights and service to their customers. With Cova, ECO’s staff can easily reference detailed product information — everything from strain effects, terpene profiles, cultivation dates, and extraction methods. 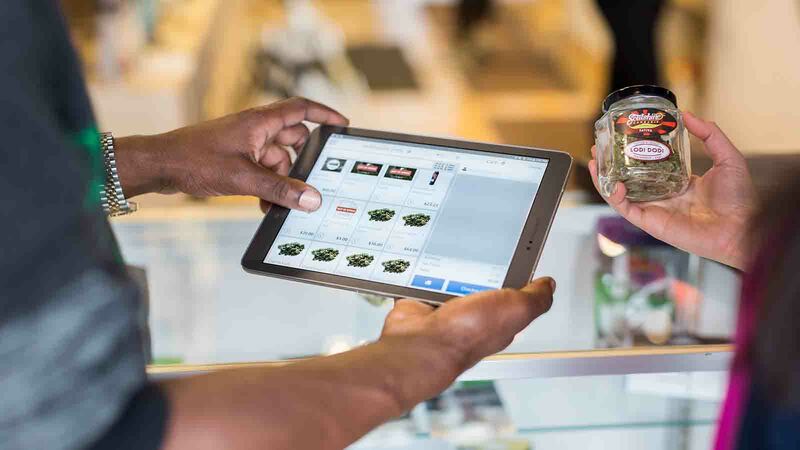 What’s more, they don’t have to be behind the counter to access this intel; using tablets, ECO’s budtenders are free to roam the sales floor and assist customers from anywhere in the store. By arming their budtenders with the tools, training, and technology to provide the highest level of customer service, ECO Cannabis has positioned itself as a top contender in the cannabis retail experience category. This not only benefits ECO’s customers, but also puts their budtenders in a position to truly thrive. Want to empower your budtenders to provide the same sommelier-level service? Book a demo today and let us show you exactly how Cova can take your budtenders to the next level.